Starting from a seated or standing position, turn your palms up. Slowly raise your arms out to the sides and up overhead. Have a slight bend in your elbows and keep your arms in the plane of your body while you do this exercise. Pull your shoulders down away from your ears and squeeze your shoulder blades together on your back. Breathe in while your raise your arms and breathe out while you lower your arms. Raise one arm out to the side and overhead, stretching through your rib cage on that side. Slowly bring that arm down so the elbow is at your waist while, at the same time raising the opposite arm up. Repeat 6-8 times to each side. To maximize the stretch pause and hold at the top for a few seconds. Turn your palms up and pull your shoulders down and back. Slowly bend your elbows to bring your arms in by your ribcage. Slowly press your arms back out to the sides. Prevent wrist injury while doing this exercise by keeping your wrists in a neutral position. For a shoulder care program designed for your specific needs call Dr. Roizman’s office at (828) 225-5575 to schedule an in-office consultation. Spring is here and along with it the start of running season. When a runner comes into my office presenting with back pain, it is my job as a chiropractor to determine the underlying cause of the pain and then develop a plan of action to get him or her fully healed and back out on the trail as soon as possible. Back pain may be a simple problem arising from a minor muscle strain that heals quickly with adjustments, exercises and home care or it may signal a more serious condition requiring urgent medical attention. The physical examination is designed to rule in or out the most serious potential problems first. The impact of running can cause a non-symptomatic bulging disc to herniate causing pressure on the spinal cord or nerve roots. 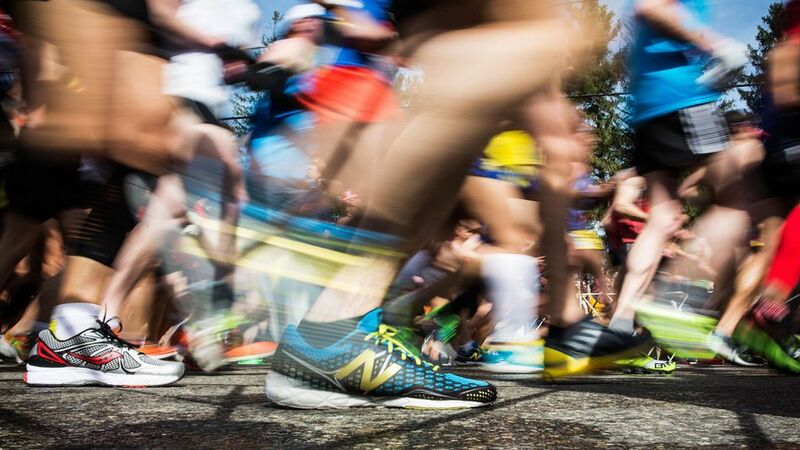 In long distance runners stress fractures can occur. A recent trauma, such as a slip-and-fall or car accident may also result in a fracture or disc herniation that becomes more noticeable with running. The most important telltale signs of a serious back or nerve injury include radiating pain, weakness, numbness or tingling down the front, back or side of one or both legs. If the patient describes or the exam reveals one or more of these symptoms an x-ray and/or MRI will be necessary to evaluate the spine, vertebrae and nerve roots. If imaging shows one of these conditions is present the patient is advised to discontinue running until their back is stabilized. This may require surgery or a lengthy period of rest and physical therapy. Once the history and initial neurological evaluation rule out a serious injury or medical condition then a muscle strain, biomechanical imbalance or structural fault are more likely. At this point it is safe to proceed with a combination of physical exam and/or x-rays to localize the precise muscles and joint structures involved. These conditions can generally be treated with a combination of chiropractic care, physical therapy, ice, stretching, anti-inflammatories, massage and other conservative measures. A list of potential muscle strains causing low back pain may include paraspinal muscles, gluteal muscles, hamstrings, or hip flexors. Gait analysis can reveal altered biomechanical patterns from the feet on up, the forces from which can manifest as low back pain. A common structural fault, known as antero- or retrolisthesis, occurs from forward or backward slippage of a vertebrae. Another type of structural fault involves congenital fusion or non-fusion of a spinal joint. This often happens in the region of the fifth lumbar vertebrae and the sacrum and is called sacralization or lumbarization. In some individuals, one side may be fused while the same joint on the opposite remains unfused, causing instability and pain. Such biomechanical faults are revealed on x-ray. Back pain can be confusing and misleading and signs and symptoms can overlap. If you experience back pain while running, do not try to diagnose the cause of your back pain to determine if it is minor or serious. The best advice for dealing with running-related back pain is to stop, walk and make an appointment to see a qualified healthcare practitioner. A combination of genetic and environmental factors can cause a wide range of allergic responses. Allergies can lead to or stem from from an imbalance in one or more of your body’s systems and can appear at any stage in your life. Wholistic chiropractic care offers a variety of diagnosis and treatment options. Common triggers that can set off an imbalance that may lead to the development of allergies include stress, antibiotic use or a diet high in sugar and refined carbohydrates. These factors share certain characteristic effects that initiate a process known as leaky gut syndrome. One of these effects is chronic inflammation throughout the body. This type of low-level Inflammation may not be as noticeable as that of a bee sting but it causes the lining of the digestive tract to stretch and become permeable. Instead of functioning as a selective filter that absorbs digested food, the permeable intestinal lining allows undigested food particles to leak into the bloodstream. Too large for your cells to absorb and use, these undigested food particles fall under attack by your immune system, which sees them as potentially dangerous foreign objects and a food allergy is born. Once inflammation sets in, the intestinal tract attempts to rid itself of whatever may be causing the irritation by increasing levels of mucous formation. Mucous occurs in both the digestive and respiratory tracts and provides a place for molds and fungi to take hold and grow, further draining the immune system, crowding out beneficial bacteria and setting the stage for food allergies, respiratory allergies and opportunistic infections. In the case of poor diet or chronic stress, you may not make the connection between with allergy symptoms until considerable damage is done. Antibiotic use is normally discontinued after three to ten days, only to reoccur at the next sign of infection. Repeated courses of antibiotics can damage the intestinal lining in ways that persist for years. Decreased nutrient absorption leads to further digestive and immune complications because unabsorbed nutrients are not available for production of the enzymes, stomach acid and other components necessary to digest food. Stress increases levels of the hormone cortisol which decreases inflammation. However, chronic stress results in cortisol depletion and elevated inflammation and associated digestive and immune system effects, such as allergies. Altered thyroid function may also impair immune function and make you more susceptible to developing allergies. Your allergies may also stem from an imbalance in communication between the two hemispheres of your brain. The left brain typically activates the immune system while the right brain has the responsibility of suppressing the immune response. An overactive left brain or underactive right brain may result in an overly enthusiastic immune response that, unchecked, can snowball into allergies and autoimmune conditions. Studies show that lower right brain function is associated with increased levels of certain antibodies. Also, there seems to be a higher prevalence of allergies, asthma and autoimmune conditions in left-handed families and women with asthma, a condition that often is accompanied by allergies, are more likely to have left-handed children. Finding and healing digestive components of allergies is a key piece of the puzzle for many allergy sufferers. Lab testing for food intolerances and digestive function can reveal important information. Appropriate dietary modifications, cleansing and detoxification procedures restore healthy digestive and immune function. 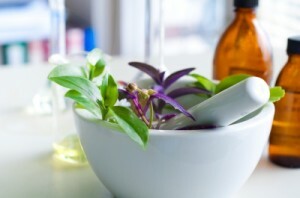 Applied kinesiology techniques help to find and fix particularly subtle or hidden allergies. Where brain and central nervous system imbalance is a contributing factor, chiropractic functional neurology can help detect and balance brain function so that your immune system is expressed in a healthy way. To the ancient Mayans chocolate had magical and divine powers, an indication that they may have known about its mood-altering effects. Chocolate’s ability to counteract depression by raising serotonin levels is widely known. 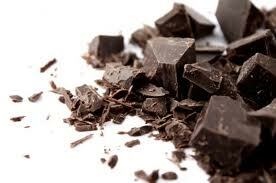 Less well known is that both women and men use chocolate as mood food, according to a 2010 study of over 1,000 adults. Antioxidants in chocolate can protect your brain from the damaging effects of air pollution. Chocolate decreases brain inflammation. Chocolate consumption has also been shown to protect a part of the brain that produces the neurotransmitter dopamine and the vagus nerve, which controls the majority of your internal organs. Components in chocolate called bioactive amines may reduce symptoms of Parkinson’s disease by improving brain metabolism and increasing dopamine levels. For most of history, chocolate was consumed unsweetened and without the added saturated fat that makes it a sinful indulgence instead of the health food that it truly is. Sprouted seeds and beans are a great way to add raw vegetables to your winter diet. 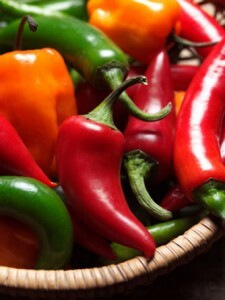 They add fresh flavor and crunch to sandwiches or can be sprinkled on cooked food before serving. Sprouts are packed with vitamins, minerals and enzymes that assist your digestive system, preserving your body’s energy for activities such as boosting your immune function to help ward off colds and flu. 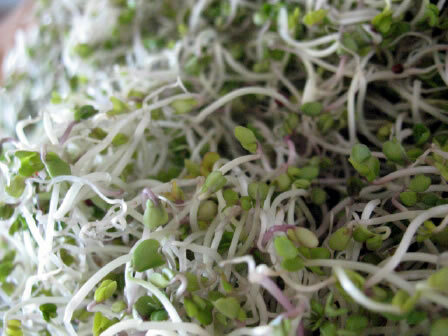 Broccoli sprouts can help lower your cholesterol levels and prevent cancer. Alfalfa sprouts contain a remarkable 25 percent protein and provide antibacterial and liver-cleansing benefits. Vitamin C levels increase as much as eight times in the sprouting process. B-complex increases by six times and vitamin E by three times. Making your own sprouts is easy and can be safer than store-bought sprouts. Follow safe hygienic practices to prevent bacterial contamination. Store sprouted seeds in your refrigerator and rinse sprouts daily with fresh water. 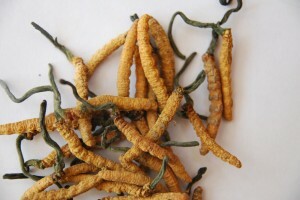 A fungus known as Cordyceps sinensis, pictured above, often used in traditional Chinese Medicine for its ability to bolster the immune system, is also a good supplement to turn to when your adrenal glands need a boost. 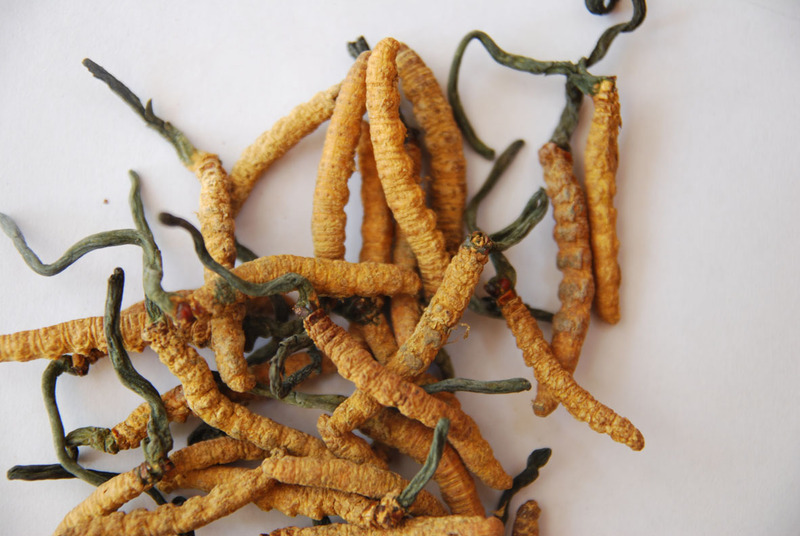 Cordyceps has the ability to increase levels of the stress hormone cortisol without depleting the adrenal glands, implying a stress-sparing effect on the body while maintaining sufficient levels of this important stress hormone. Add vitamin E to your supplement regimen to decrease excessive levels of the adrenal-activating hormone ACTH and the adrenal steroid hormone known as corticosterone. Vitamin E prevents oxidation within the pituitary and hypothalamus; areas of the brain that control the adrenal glands, thereby also preventing the types of cognitive impairment that occur from stress. Adrenal health is yet another reason to keep your vitamin C levels topped up. Adrenal tissue contains high levels of vitamin C. In times of stress your adrenal glands secrete vitamin C into circulation. It is well-known that when animals become sick or otherwise stressed they produce prodigious amounts of vitamin C. Humans have lost the ability to manufacture vitamin C and must obtain it from food sources or supplementation. For your adrenal and immune health, your best bet is to supplement with vitamin C daily. For some people headaches are an occasional annoyance, for others a disabling chronic condition. There have been many creative headache cures throughout history. In China around 200 a.d., Hua Tho, a famous surgeon and the discoverer of anesthesia offered to relieve the emperor’s headaches by removing a portion of his skull. In medieval Europe headaches were treated by applying a solution of vinegar and opium to the scalp. And, in the late 1800’s William Gowers, an eminent physician and founder of modern neurology emphasized the importance of a healthy diet. Failing that he recommended nitroglycerin dissolved in alcohol. Fortunately, modern chiropractic care has a lot to offer headache sufferers. Chiropractic has proven through numerous studies to be highly effective and provide longer and more permanent relief for headaches than even some of the most highly touted wonder drugs. Because headaches are a common health issue, people often accept the idea that they are a normal, inevitable part of life. But headaches, particularly those that recur, are signs that something is wrong. Aspirin and other medications relieve the pain of tension headaches, migraines and cluster headaches without correcting the underlying causes. Moreover, analgesics often cover up the warning signs associated with neck, head and back pain. When those causes are eliminated so also are the headaches that come from them. An important study by Duke University compared a variety of methods for the treatment of muscle tension headaches. When chiropractic care was compared to the drug amitriptyline the results were greatly in favor of chiropractic therapy. During the six week study the short term effectiveness was similar for each type of therapy. It was the long term benefits in the three months after treatments were discontinued that chiropractic care was shown to have a tremendous advantage over drug therapy. Patients in the study who had received chiropractic care continued to experience fewer and less severe headaches while patients who’d had drug therapy went back to their previous condition. Additionally, 82% of patients taking amitriptyline reported adverse side effects including fast heart rate, blurred vision, urinary retention, dry mouth, constipation, weight gain or loss, low blood pressure on standing, rash, hives, seizures, and hepatitis. Another study, this one from Harvard, discovered that chiropractic care is the leading alternative therapy sought by patients seeking relief for headaches. Could it be a healthcare revolution in the making? Let’s hope so. The reason chiropractic care outperforms drug therapy for headaches is simple. Chiropractic care provides lasting relief by removing the causes of headaches and it does so safely. Drugs, on the other hand are designed to put out fires once they’ve started. The preferable solution is obvious and that is why studies and patients support chiropractic for the care and cure of headaches. Headaches have a spectrum of causes or triggers. One of the most common triggers for headaches is cervicogenic problems, meaning ‘arising from the neck’. It’s possible to have a cervicogenic headache in the absence of neck pain. One of the ways chiropractic treatment helps decrease the occurrence of headaches is by improving the balance of the upper neck. Postural strain is one reason for the neck to become misaligned. Stress from sitting at a desk or computer or from driving accumulates quickly because these are activities we spend a lot of time doing. Traumatic injuries such as slip and fall accidents, auto accidents or athletic injuries cause misalignments in the spine and tension in muscles. In many cases the original injuries go back to childhood. These persist and cause a domino effect of underlying weakness that makes the headache sufferer vulnerable to other stressors in the environment. Sinus headaches, which are generally associated with allergies or weather patterns often have a structural component of spinal imbalance together with muscle tension. Your food sensitivity headache, in fact, might respond very well to chiropractic care. Helping headache sufferers is a daily occurrence in chiropractic clinics. In my practice I see patients whose primary complaint is headaches and I also see patients who come in for general health care and remark that their headaches have vanished since the start of their chiropractic treatments. In all cases the result is less pain and greater health. Certainly, that is preferable to pain pills with their temporary relief and associated side effects. And, best of all you can keep your cranium intact. Antibiotic effects. Olive leaf extract has been found effective at treating chronic bacterial and viral infections that are resistant to conventional methods of treatment. 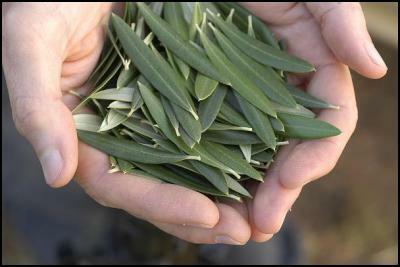 A constituent of olive leaf also helps prevent flareups of dormant viruses. Pneumonia, influenza, herpes, shingles and Epstein-Barr virus have all been successfully treated with olive leaf extract. 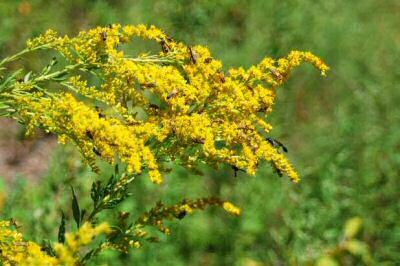 Urinary tract and yeast infections also respond well to this herb. Antioxidant benefits. The combination of antioxidant and antimicrobial properties of olive leaf extract is greater than either property by itself, according to research. Food-borne infections such as E. coli and skin infections such as staphylococcus aureus may be prevented by olive leaf extract. Olive leaf extract also helps maintain healthy blood sugar levels and digestive function. 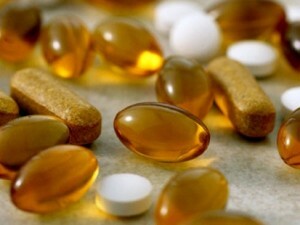 Typical adult dosage is 500 mg in capsule form or one dropperful of liquid extract one to three times per day. For guidance in the best use of olive leaf extract for your particular health needs, contact Dr. Roizman at (828) 225-5575. The practice of spinal manipulation has historically been part of many cultures throughout the world, in some places dating back hundreds, even thousands of years. In fact, the term “Ortho-Paedics” originated in 1727, when it was used to describe manual and other procedures to correct asymmetries of the spine and skeletal structure of children. Children are ideal candidates for the healing benefits offered by gentle chiropractic corrective care. This is not surprising, considering the physical stress incurred during birth followed by the rapid growth of childhood and the inherent routine bumps, falls and other activities that define this part of life. Aches and pains that we attribute in adulthood to the inevitable effects of aging are often the result of spinal and bodily misalignments that originate in childhood and go uncorrected for decades. Or not at all. Interestingly, the primary reason parents bring their children for chiropractic care these days in this country is for help with an ailment that, at first might not seem to be directly related to the spine. The problem is recurring ear infections. Few of us get through childhood without experiencing some of its typical ailments. Statistically, 75% of children have at least one bout with ear infection by the time they are three. The reason is part anatomy and part immunity. The developing structure of the child’s ear combined with their immature immune system make them uniquely susceptible to this common condition. In babies and young children, the eustachian tube, which connects the middle ear and the throat, and serves to equalize pressure and drain fluids, takes a more horizontal than vertical course. As the child grows the eustachian tube changes shape, becoming more vertically aligned and this forms a more efficient system for drainage. Until then, young children are susceptible to fluid accumulating in the ear. When fluid accumulates in a closed space, the result is pain pressure and infection. The young child’s developing immune system encounters new challenges on a daily basis. Normally, illness does not result. The effect is a mild runny nose or simply a day of uncharacteristic sluggishness. When a child does get sick their immune response can be quite dramatic. Sudden high fevers and other severe symptoms make children and parents equally anxious for quick relief. The use of antibiotics to provide this relief has become standard practice. However, antibiotics can complicate the situation by killing healthy bacteria and suppressing the child’s immune system. This increases susceptibility to recurrences of infection and additional courses of antibiotics. We in the U.S. have been particularly enamored of antibiotics and often rush to use them prematurely. Some cases of otitis media are not infections at all, but simply accumulations of watery fluid causing pressure and pain. As a result the rates of antibiotic resistance in this country are significantly higher than in other places. 25% of strep. pneumoniae cases are now antibiotic resistant compared to .002% ten years ago. Chiropractic therapy has helped many families get through this phase of life healthier than they otherwise could with conventional medicine. Children respond remarkably quickly to natural chiropractic care. In many cases a series of 5 to 8 adjustments is sufficient to make the patient pain free, infection free and most importantly less likely to relapse. What do spinal adjustments do for ear infections? There are small muscles in the throat and around the eustachian tube that control activities such as swallowing and talking and also the opening and closing of the Eustachian tube. Adjustments to the cervical spine help to normalize nerve flow to these small muscles. By calming tight constricted muscles, the eustachian tube is allowed to open, allowing fluid and pressure to drain. Allergies occur as a secondary effect of antibiotic use because, in addition to destroying the normal flora, antibiotics also damage the delicate lining of the intestinal tract. Large proteins and other partially digested food particles are then able to pass through the intestinal membrane and enter the bloodstream where they are attacked by the immune system. The respiratory system is similarly affected. Allergic responses lead to constriction of breathing passages and the symptoms of asthma. Also, the respiratory system has its own normal colony of beneficial bacteria which when disturbed can lead to respiratory allergies and asthma. In recent years emergence of antibiotic resistant bacteria has become an important public health concern. The less we rely on antibiotics the better. A lot can be accomplished with some good guidance, some health-promoting care, including chiropractic adjustments and a few small dietary and/or lifestyle changes. The cycle of antibiotic dependence can be broken and a strong healthy child can emerge. Hashimoto’s thyroiditis, which is most prevalent among women between 30 and 50 years of age. Symptoms include weight gain, cold sensitivity, muscle and joint pain, menstrual irregularities, increased cholesterol and decreased mood. Hashimoto’s is also found in gluten intolerant individuals, possibly due to the fact that the gluten protein closely resembles a protein found on the thyroid gland. When a gluten-intolerant person consumes gluten the immune response can include an errant attack on the thyroid gland. Grave’s Disease, in which the thyroid gland becomes overactive. Signs include enlarged thyroid, mood and sleep disturbances, weight loss, tremor, irregular heart rate and, paradoxically, fatigue. Heart problems are the most serious complications of Grave’s disease and can involve atrial fibrillation and congestive heart failure — an inability of the heart to efficiently distribute blood to the body — from longterm over-stimulation. Inflammatory Autoimmune Arthritis conditions, such as rheumatoid arthritis, lupus and Sjogren’s syndrome all may affect the thyroid gland. Women with rheumatoid arthritis show thyroid dysfunction at a rate three times greater than those with non-inflammatory rheumatoid conditions. Natural methods for managing autoimmune thyroid disease include avoiding certain foods that affect thyroid function, such as soy, cabbage, kale and mustard greens and increasing levels of certain nutrients that decrease inflammation. 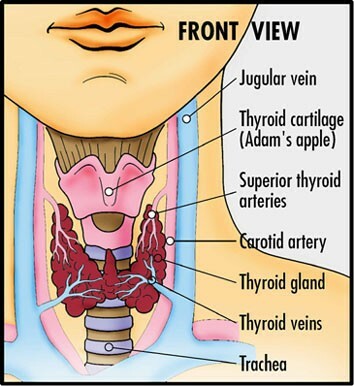 For more information and to learn about testing and natural treatment options for autoimmune thyroid disorders, call Dr. Roizman at (828) 225-5575. Menopause effects many aspects of your health, including your levels of the neurotransmitter dopamine. This neurochemical controls muscle activity and also modulates your levels of attention and motivation. Low dopamine levels may explain common menopause complaints such as forgetfulness, clumsiness and brain fog. Low dopamine levels contribute to menopause symptoms. 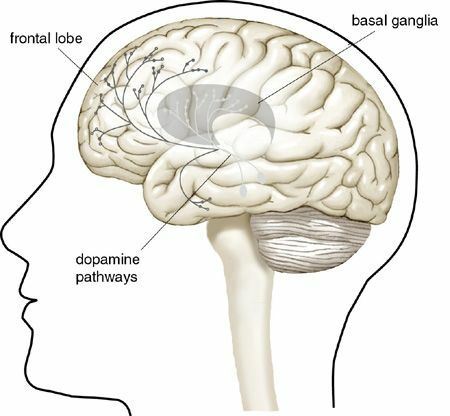 Parkinson’s disease, a condition associated with low dopamine levels, occurs with greater frequency in postmenopausal women compared to women of the same age who are premenopausal, indicating that estrogen protects dopamine producing cells in the brain. Low dopamine levels may hasten the onset of menopause by promoting weight gain, which is associated with early menopause. Menopause decreases dopamine’s effectiveness throughout the body by promoting a decline in the number of receptors for the neurotransmitter in brain, heart and other organs. Levels of norepinephrine, which is made from dopamine, also decline when dopamine levels are low. Norepinephrine acts as a stress hormone in the brain, regulates the brain’s oxygen supply, and controls heart rate and blood sugar levels. 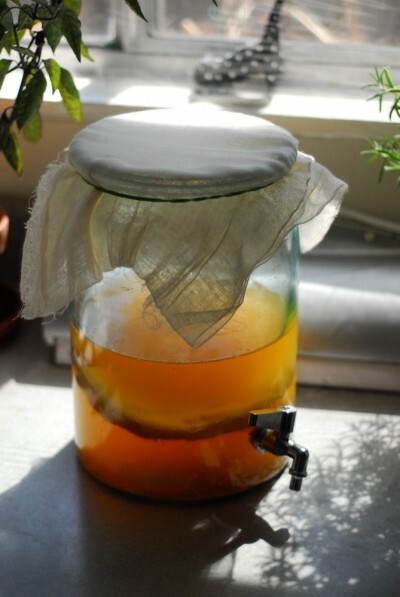 Kombucha is considered to have antibiotic effects, partly due to its high acidity, which suppresses the growth of many pathogens, and partly due to other, as yet undetermined factors. In one study, kombucha that was brought to a neutral pH had antibiotic properties, implying factors other than acidity that give this beverage its reputation as a natural antibiotic. Kombucha is capable of neutralizing the damaging effects of some toxins. It does this while preserving levels of key antioxidants in the body, giving it antioxidant status. It also increases antibody levels during an immune response. Your liver will love you for drinking kombucha. According to some studies, kombucha prevents elevations in liver enzyme levels, which rise in response to excessive levels of toxins or other stressors. Animal studies show that laboratory animals that are given kombucha show greater behavioral adaptability. As a precaution, some controversy exists regarding the safety of kombucha. If you choose to brew kombucha at home follow strict hygienic precautions to prevent contamination or purchase a reputable commercial brand. With the right help, you can enjoy the flowers that bloom in the spring without allergic discomfort. Do you have a love-hate relationship with spring? 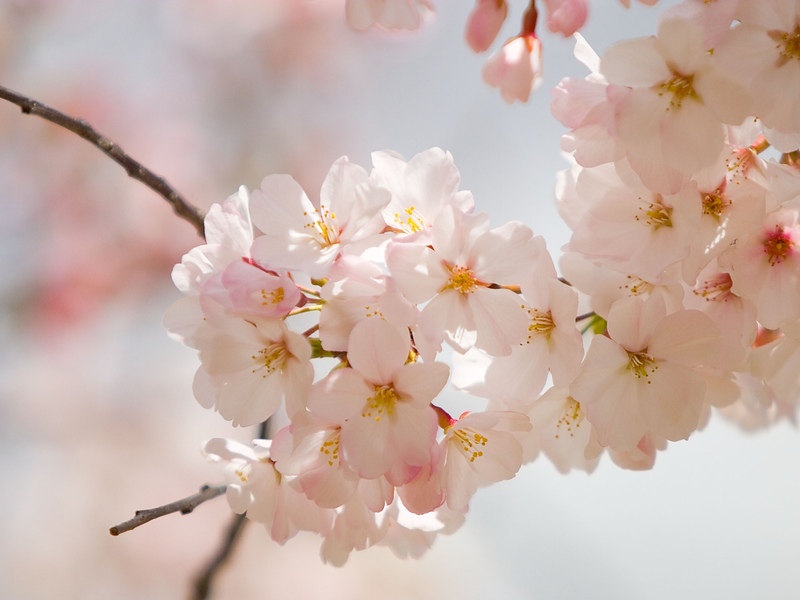 If the thought of flowers blooming makes you want to revert back to the sterile cold of winter, you are probably among the many who suffer from seasonal allergies. You’ve likely frequented the remedy section at the drug store and can authoritatively describe the relative merits of symptom relief versus side effects of the most popular remedies. You also most likely feel that there is a better solution. There is. The key to the cure lies in understanding the underlying causes of many allergies, and from there the best course of action is natural. Why does your immune system decide that a normally benign substance such as dust or pollen is a dangerous enemy that needs to be attacked? Pollen doesn’t want to inhabit your body the way bacteria do, it is simply present in the air. Even the term “allergen” is misleading and makes these inert substances sound a bit like pathogens that are out to get us. Anything can be an allergen if your immune system is susceptible to reacting that way. Nothing ought to be an allergen for a healthy body whose immune system is able to distinguish friend from foe. The place where an allergen makes contact with your body is where the answer lies. In the case of airborne particles such as dust or pollen, that place is the thin delicate membrane that lines the sinuses. This membrane is composed of live cells. There is a similar membrane that lines the digestive tract, where anything that gains entry from the outside environment, such as food, comes into contact with live cells. You can imagine that the health and integrity of this cell membrane is vitally important in protecting you from pathogens and other irritants. Also important to consider is that the majority of immune tissue in your body is clustered around those delicate membranes, ready to respond to anything that gets past the protective barrier. Several factors contribute to the health and vitality of the sinuses and digestive tract. Depleted nutrient status is one of them. Identifying and correcting depleted nutrients is an important first step toward helping your body help itself overcome allergies. The cells that make up the protective barriers of the sinuses and digestive tract have a higher demand for nutrients and a relatively shorter life span than cells in other parts of your body. Giving them the building blocks they need to carry out their important protective and selective functions makes good sense. These nutrients don’t come from pizza, ice cream, soda, or many of the other consumables that comprise a significant portion of the diets of most Americans. Other dietary factors come into play as well. Believe it or not, there is a correlation between your food choices and your hay fever. Common staple foods such as wheat and dairy are difficult for many people to digest. Wheat contains high quantities of the protein gluten, which in varying degrees can be an irritant. Dairy contains the protein casein, also difficult to digest and the reason why dairy foods are said to be mucous-forming. Postnasal drip occurs so often when we eat dairy foods that we fail to notice it and even accept it as normal. This situation creates an ideal breeding ground for mold and fungus, upsetting the balance of normal flora. Once this occurs, the body is vulnerable to infections and allergies. Wheat and dairy are also culprits in robbing you of energy that you might prefer to have available to spend in other ways. The drowsy feeling you get after eating certain foods indicates that you are having some difficulty digesting and assimilating them. Pay attention to this response and adapt your diet accordingly to avoid the offending foods. Finally, perhaps the most important causative factor in many allergies is such irritants as antibiotics and other medications. Many of these substances are quite harsh on the body and alter the balance of good bacteria. Over 500 species of bacteria call your sinus cavities and digestive tract home. In great numbers, they help crowd out pathogens, regulate the acid/base balance within those areas, and even help us digest food and produce certain vitamins. They are good to have. Anything that disrupts this normal environment can lead to allergies. Regaining proper balance of your personal internal colony of “worker bugs” is most important after having one or more courses of antibiotics, steroids, or other medications. Wholistic chiropractic care addresses allergies from a multifaceted approach. Through the use of muscle resistance testing, also known as applied kinesiology, allergens as well as underlying stresses and deficiencies are identified and neutralized during treatment sessions. I have seen excellent response to this remarkably simple and effective tool on many occasions. Chiropractic spinal manipulations, along with other soft tissue treatments, help to relieve muscle tension and restore normal open breathing patterns. In my practice I also utilize reflex points that stimulate congested sinuses to drain. Clear, open sinuses are less likely to be breeding grounds for molds and funguses. Add some appropriate nutritional and/or herbal supplementation and subtract any contributing lifestyle factors and you have a comprehensive and effective equation for allergy elimination. Also, neurologic research shows that many allergies and autoimmune conditions stem from an imbalance in the central nervous system, leading to an overactive immune system. A functional neurology evaluation can detect and correct these subtle brain imbalances, calming the immune system and reducing the occurrence and severity of allergies. Tracey Roizman, DC offers a whole-body approach to chiropractic healing, incorporating each aspect of the triad of health: structural, chemical, and emotional. Dr. Roizman utilizes traditional chiropractic structural corrections along with kinesiology testing, and nutritional therapies. She graduated from Western States Chiropractic College in Portland, Oregon and holds a bachelor’s degree in biochemistry from the University of New Hampshire. A new patient came to my office recently with his upper back and shoulder in spasm from an injury incurred while sitting at his desk and reaching for a piece of paper. He had referred his wife to me several months earlier, though he himself had never had chiropractic care and did not consider himself a candidate. Knowing that he works many hours at a computer each day I asked him if he had any aches or pains related to using the computer. His puzzling answer was no, he didn’t have any pain in his neck or back. I took him at his word, yet wondered how he managed such a feat. Over the course of a few treatments to repair his paper-reaching injury he reported that in addition to his upper back and shoulder improving, his low back and, indeed his whole body felt better. He was able to work comfortably for longer periods of time without fatigue or pain. This was wonderful, we both agreed. But, how was it that he no longer had pain that he didn’t have in the first place? His equally puzzling explanation was that he thought a certain amount of back pain from computer use is normal and inevitable. When he’d responded to my initial inquiry he was actually saying that he didn’t have any more pain than he thought he should be having. Do you see yourself somewhere in this picture? If so, there is hope and help for you. Injuries related to computer use, part of a larger category commonly known as “repetitive stress injuries,” or RSI’s, can become far more than a mere inconvenience. Some symptoms, such as arm and chest pain, occasionally are severe enough to mimic a heart attack. Chronic headaches due to neck and eye strain can lead to decreased productivity. Injured tendons and ligaments have a naturally slow rate of repair because their blood supply is low. Additionally, since these injuries stem from overuse, with rest not always being an option, they may take even longer to heal. If you foresee a long-term relationship with your computer and want it to be a healthy one then the following advice is for you. Keep in mind that it is not possible to fully injury-proof your computer. However, you can take some simple preventive measures to minimize risk. It might seem counterintuitive, but sitting, an activity that would seem to relieve stress and tension causes far more stress than standing. The reason is that when standing the large muscles and joints of your legs absorb a lot of the forces so there is less compression and muscle strain on your back. Although standing is better than sitting, much of the stress we experience comes from the fact that we walk upright. This gives us many advantages and also puts us in the special needs category relative to the maintenance of our fragile framework. Gravity simply takes a greater toll on us than on our four legged friends. To counteract the effects of gravity you have three curves in your spine that function as shock absorbers. Your back is happiest when you are either lying down, which takes away virtually all of the axial compression on your spine, or standing up with these shock-absorbing curves in place. Your spinal muscles are also in their “happy place” when you are standing in a neutral position with your spinal curves intact. Any movement away from neutral creates added stress. Combine the act of prolonged sitting with a poorly designed work station and you can see where that leads. So, how to resolve this issue? The answer is to cross train for your desk job. Even if you have the most up-to-date ergonomically designed work station you may spend extended periods of time sitting at your desk. Therefore, it is important to exercise regularly in ways that relieve daily tensions and prevent them from accumulating and causing injury. Ideally, you’d spend as much time moving about as you do sitting at your computer. However, for most working people there aren’t that many waking hours in the day. Plan B is to do the best quality most highly focused exercises possible. Yoga and other forms of stretching are on the must-do list. Spot stretches throughout the day are also important. Pay particular attention to stretches that open and extend your chest, shoulders and upper back. An hour or two a week of full-body stretching will provide the greatest benefits by getting to those areas that you don’t reach in your spot focus areas. Also consider light weight-training a couple of times per week to give your muscles the strength to endure their daily desk marathon. Swimming back stroke is also helpful and can be done right at your desk, no pool is required. A chiropractic functional neurology evaluation will reveal where your trouble spots are and what you can do for them. Regular chiropractic care is a desk worker’s best friend. Spinal adjustments go where your stretching and strengthening exercises don’t, restoring lost range of motion and correcting harmful patterns before they turn into costly medical conditions. Keep in mind that it is not possible to fully injury-proof your computer, however you can take some simple preventive measures to minimize risk. Follow the 90-90-90-90 rule. Set your chair and keyboard height so that your elbows, hips, knees and ankles are at 90 degree angles. Remove armrests if necessary. If your feet are not flat on the floor when everything else is in place use a footrest. Keep wrists in a neutral position. Your fingertips should be even with your wrists. Set your monitor at a height at which you can read the top line with your neck in neutral position. Protect your eyes by increasing font sizes, blinking often, and eliminating glare from outside or overhead lights. Exercise your eye muscles by looking up and side-to-side in a sweeping, windshield wiper fashion. Take breaks as often as possible. When you are momentarily not typing or mousing do some seated stretches. Experiment with ergonomic products to find what works for you. Lumbar cushions, keyboards, wrist rests, and other posture supports are available. Your chiropractor is an excellent resource for ideas and advice on customizing your work station. Tracey Roizman, DC offers traditional chiropractic structural corrections, kinesiology testing and nutritional therapies. She graduated from Western States Chiropractic College, in Portland, Oregon and has a bachelors degree in biochemistry from the University of New Hampshire. Contact Dr. Roizman for chiropractic treatments and health consultations at 828 225-5575. www.chiroasheville.com or email: info@chiroasheville.com. Tracey Roizman, DC provides wholistic chiropractic health care using traditional chiropractic structural corrections along with kinesiology testing and nutritional therapies. She graduated from Western States Chiropractic College, in Portland, Oregon and has a bachelors degree in biochemistry from the University of New Hampshire. Contact Dr. Roizman for chiropractic treatments and health consultations at 828 225-5575. www.chiroasheville.com or email:traceyroizmandc@gmail.com. What is Chiropractic treatment and how does it work? Chiropractic treatment uses what is commonly called an “adjustment” to restore and maintain full and painfree range of motion in the spinal column. In fact, many chiropractors will adjust the entire skeletal structure, included hips, knees, shoulders, wrists, etc. Chiropractic adjustments allow the muscles that hold the bones together to release tension, thus relieving pain and stiffness. Chiropractic adjustments also have the effect of calming the nervous system and training the body to not hold onto mental, emotional and physical stress. This translates into better, more resilient health and even a stronger immune system! At a typical treatment session you will describe your progress and symptoms since the last treatment. I will briefly evaluate using neurological and muscle testing procedures to determine the course of therapy for this session. Appropriate adjustments are performed and any recommended exercises, supplements, or orthopedic supports are suggested. Do adjustments hurt and are they safe? Adjustments are rarely painful and are extremely safe when applied by a skilled and experienced practitioner. If your accumulated stress is slight it doesn’t hurt a lot. If there is serious injury or longstanding accumulated stress then it can be uncomfortable at first, just as massage can be uncomfortable when there is pain already present. Bodywork works by touching where it hurts in order to make it better. How long do chiropractic appointments last? A normal treatment session takes up to15 minutes and involves re-evaluation of the areas being treated and adjustments as indicated. Specific exercises and home care are also included in all of my treatments. Chiropractic care can be effective in a short time frame because it goes beneath the muscles to relieve stress at the joints where the muscles attach. This is an advantage for busy people who can’t take an hour out of their day to stop and relax. With chiropractic care you are made pain free and exhilarated without losing your “edge”. What is the amount of time before I begin to notice an improvement? Most often pain begins to diminish at the first treatment. Full recovery time varies depending on your degree of degeneration and how long your condition has been allowed to progress. Recovery time also depends on an your own rate of healing, which will be the result of your ability to carry out optimal treatment schedules and procedures for your particular condition. In addition to chiropractic care what can I do myself to help heal this condition? Chiropractic care gets the ball rolling. Much of the healing process has to do with what you do to preserve, maintain, and build upon the benefits of your chiropractic treatments. This happens through changes to improve how you sit, stand, walk and work. Specific exercises strengthen and balance muscles. Nutritional supplements and dietary changes supply the body’s cells with all the elements they need for the repair process. How often you see your chiropractor depends on the severity of your problem and your goals for healing. There are three recognized phases of care: the initial phase helps heal injuries that are either very new or are longstanding. The restorative phase preserves healed areas and prevents re-injury. The maintenance phase keeps the stresses and strains of everyday life from accumulating and causing problems. For a recent injury or longstanding problem more frequent treatments are required. As symptoms diminish treatments can be spread out over time. What if I can’t have the recommended frequency of treatment? retraining of your muscles occurs. It is very important in the beginning stages of care to have adjustments somewhat closely spaced. What types of conditions can be treated with chiropractic care? Chiropractors treat many types of conditions. Headaches, and neck and back pain are what chiropractic is famous and most widely used for. Nutritional support using the natural chemicals of food, vitamin supplementation and medicinal herbs is also a common chiropractic approach. Nutrition supports chiropractic adjustments by promoting the healing process at the cellular level during the body’s repair phase. No. Chiropractic adjustments, along with nutritional and lifestyle changes frequently reduce or eliminate pain to the degree that pain medication is not needed. Why does someone who doesn’t have pain need a chiropractor? We say that pain is the last sign to appear and the first to disappear. Many conditions can be very easily prevented with regular chiropractic care as part of an overall health approach. Chiropractic care is not a matter of life or death. Noone “needs” a chiropractor but all can benefit from chiropractic care. On the other hand, those who do not choose to take health promoting steps such as chiropractic care throughout their lives may eventually “need” surgery or strong drugs to manage their pain. What approach do you use in your practice? In my practice I use standard chiropractic adjustments, involving manual manipulation of the spine, shoulders, elbows, wrists, hands, hips, knees, ankles and feet. In addition, I incorporate muscle strength testing techniques known as Applied Kinesiology, and nutritional supplementation. My patients receive a comprehensive approach to accommodate their needs and requirements. Do you accept insurance? If not, do you give the proper paperwork and forms that I can file? I do not participate with insurance companies. I do provide a receipt with codes that you can submit to your insurance carrier for reimbursement. You may call at any time. Phone messages are promptly returned. How do regular chiropractic visits prevent health problems? By keeping tension in the spine and other joints of the body from accumulating many illnesses are prevented. This includes arthritis, high blood pressure, and accidents and injuries that result from not being able to move or respond quickly. How much does chiropractic cost compared to conventional medicine? Chiropractic care, when used regularly keeps you healthy happy and painfree for less than conventional medicine. You don’t wait for a toothache to start brushing your teeth. You wouldn’t take pain pills to prevent pain from happening. And you certainly wouldn’t have expensive surgery as a first step. Chiropractic care, like regular dental care is a low cost means of promoting long term health. Chiropractic care is best utilized when you don’t know you need it or before things get so bad that you require drugs or surgery. When you “need” a dentist it is an emergency that usually includes a lot of pain and expense that could have been prevented by simple steps. Chiropractic care has an advantage over medicine in that it is highly effective as a means of prevention. Everyone can benefit from chiropractic care. It is an excellent way to feel better quickly. Chiropractic is not a chemical to which your body becomes physically dependent. You cannot become physically addicted to chiropractic care. You can become “addicted” to living without nagging pain in your life. You can become “addicted” to doing good things to avoid pain instead of harmful things to ignore pain until it overwhelms you. As a chiropractor I take people out of pain. I like that. My patients sleep better at night and move more easily during the day. And they don’t miss their pain. They “let it go” instead of “letting it be”. When you make the people around you feel better they are happier and make the people around them feel better and be happier. Its a good way to have a good day. Wouldn’t life be a lot simpler if we could go inside our bodies and tune them up or change the oil the way we do to maintain our cars? While we can’t flush out our engines the same way we can with our cars, it is quite possible, however, to adopt some very simple lifestyle practices which will help keep the fluids clean and all of the systems functioning smoothly. Being healthy starts from the outside in, and to the trained observer your outer structure is a precise reflection of your internal functioning. Thomas Edison once stated, “The medicine of the future will be directed toward the care and maintenance of the human frame.” Edison recognized that the interrelatedness between the structure of the body and its function is a fundamental aspect of health. In this article we will focus on one component of a simple, healthy lifestyle: stretching. When properly stretched, muscles have better nerve supply, better circulation and therefore better oxygenation and nutritional status than unstretched, tense and neglected muscles. At the places where the muscles attach to the bones there are nerve receptors, which provide feedback information to the brain as to what each individual muscle is up to. Stretching activates these receptors, causing them to send some input to the brain and therefore the brain is forced to be aware of and pay close attention to them. Or, to use a computer analogy, the stretching muscle is brought up on the brain’s active screen. This is very important, since the activities and responsibilities of the brain are enormous and quite complex and it is convenient for it to ignore one thing in order to take care of something else that might be demanding more attention. And we all know about that in the scheme of our lives, don’t we? Activating the nerve receptors and making the body more aware of where all of its parts are leads to improved coordination, quicker reflexes, better performance in athletic endeavors, and most importantly, decreased susceptibility to slip and fall accidents, twisted knees and ankles, frozen shoulders, and the back “going out”. Moving the body gently throughout its various ranges of motion also helps to improve circulation to the internal organs, acting as a sort of internal massage. This translates to improved function of these organs. Aside from its physical benefits, stretching acts to release mental and emotional stresses. Simply put, we can’t hold stress in our bodies if we don’t give it a place to stay. Our bodies store stress in many ways, but most commonly as muscle tension. The muscles develop a habit of remaining tense and tight from the postures, which we habitually keep them in. We sit in a car, we sit at a desk, or we sit at a table, on the sofa, etc. 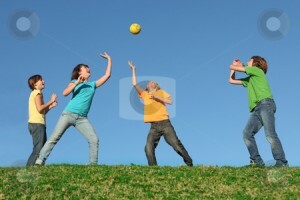 This fairly accurately describes the normal physical activities of most of us throughout our average day. By taking a few minutes to stretch the muscles and take them out of their normal contracted positions we are essentially retraining the nervous system, showing it a different way to behave. By gently taking the muscles into relaxation we are also getting them to release their various accumulated tensions. This is, in part, why certain forms of body work, such as massage, yoga and stretching, chiropractic adjustments, deep breathing techniques and other similar practices are so useful for relieving stress. How long does it take to effectively stretch a muscle? Not long. A few seconds or up to 30 seconds depending on which authority you read, with a slow gentle sustained method being preferable at all times to a rapid callisthenic style. If you hold a stretch for too long, or it you stretch a muscle too aggressively, the muscle will react by contracting to protect itself from tearing, and the beneficial effects are lost. This is an area where over zealousness, impatience, or aggressiveness will be hazardous. Now that you know the why’s of stretching and are prepared to begin, let’s talk about turning intentions into actions. Try this: start out by doing a simple hamstring stretch each morning. The hamstring is the muscle at the back of your thigh. Do this and no more, every morning without fail before you start your day. Take a shoulder width stance with your feet, keep your back straight and bend forward hinging at the hips. Depending on your individual flexibility you might reach comfortably to rest your hands on your thighs or lower legs or you may want to support your upper body by holding onto the back of a chair. While in the stretch breathe deeply in and out a few times, allowing your upper body to rise slightly with the inhalation and sink back down as you exhale. This will feel wonderful and take away some of that morning stiffness. After doing this for a few days or a couple of weeks the rest of your body might begin to take an interest in also doing a little bit of stretching. At this point you nave several choices. You can buy a book or a video, or you can attend a stretch or yoga class to learn a range of safe and effective stretches for the entire body. Whichever you choose, it is most important to be mindful of proper technique so as to derive the greatest benefit. And remember that while you are becoming more flexible your general health and wellness are also stretching to new levels.